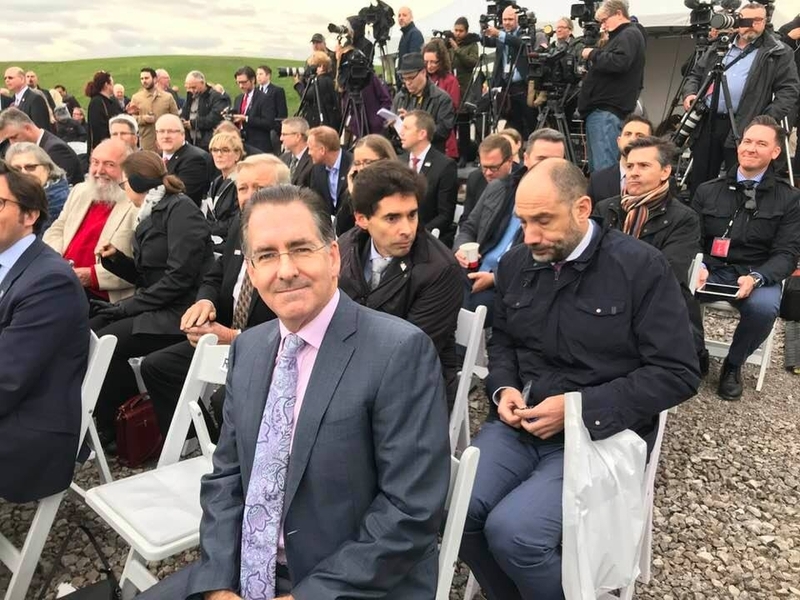 WINDSOR – With the recent signing of the financial close between the Windsor Detroit Bridge Authority (WDBA) and Bridging North America (BNA) the project to construct the Gordie Howe International Bridge has taken a major step forward. BNA are now under contract to design, build, finance, operate and maintain the Gordie Howe International Bridge. Arriving at this point has been a struggle for residents who took a traffic issue in their neighbourhood to the highest levels of government and secured an investment that will benefit not only their community but the whole of North America. The new crossing at various times has been opposed by politicians, legislators and governments. It was opposed in highly resourced advertising campaign and even subject to referendum. “Along the way this border process has cost the community on Windsor’s west side – Olde Sandwich Towne – dearly, we’ve lost residents, institutions, businesses without mitigation or compensation. It is the perseverance of the community that has delivered this project and I want to recognize this and congratulate those who have steadfastly insisted on fairness on all of our behalf.” Masse added. This announcement however still leaves many questions unanswered. How will the impacts of major border infrastructure in neighbourhoods be mitigated by those profiting from the investment? How will the legalization of cannabis impact operations at the border and will the P3 model imposed by the government work in the best interest of the community?